From the award-winning children’s book duo, Jeanne and William Steig, comes a wildly wily collection of poetry all about the…peculiarities…of the animal kingdom! Is off to the sea. In this sly and hilarious collection of illustrated verse about the animal kingdom—from the lemming to the human—critically acclaimed author/illustrator duo Jeanne and William Steig introduce readers to the foibles of all kinds of creatures. And you’ll never look at animals quite the same way ever again! 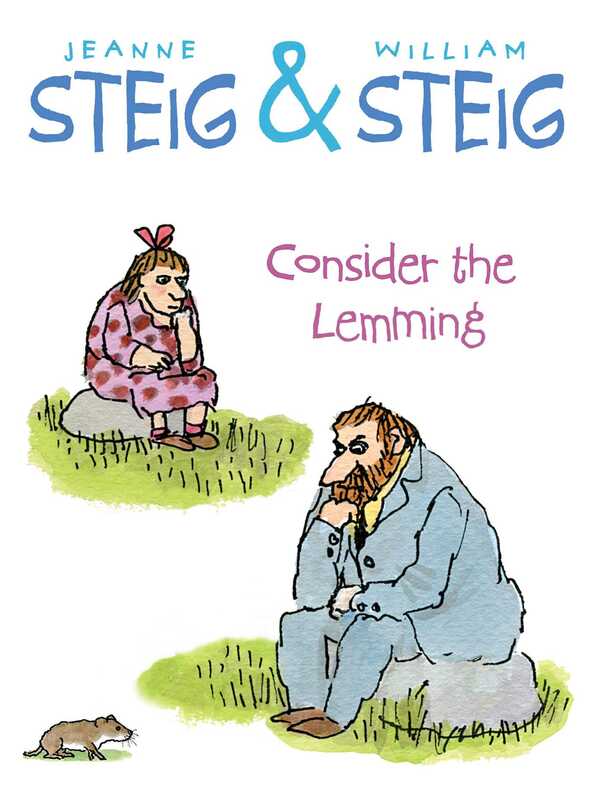 Jeanne Steig is the author of several books for children including, most notably, Consider the Lemming, The Old Testament Made Easy, Alpha Beta Chowder, A Handful of Beans, and A Gift from Zeus; all of which were illustrated by her late husband and award-winning author/illustrator, William Steig. She lives in Boston, Massachusetts. William Steig (1907–2003) was a cartoonist, illustrator, and author of award-winning books for children. Most notably Sylvester and the Magic Pebble, for which he received the Caldecott Medal; The Amazing Bone, a Caldecott Honor book; Amos & Boris, a National Book Award Finalist; and Abel’s Island and Doctor De Soto, both Newbery Honor books. Steig is also the creator of Shrek! which inspired the Dreamworks films. Steig also received the Christopher Award, the Irma Simonton Black Award, the William Allen White Children’s Book Award, the America Book Award, and Society of Illustrators Lifetime Achievement Award. He was also the US nominee for both of the biennial, international Hans Christian Andersen Awards as an illustrator in 1982, and then as an author in 1988. He is survived by his wife, Jeanne Steig, and four children.